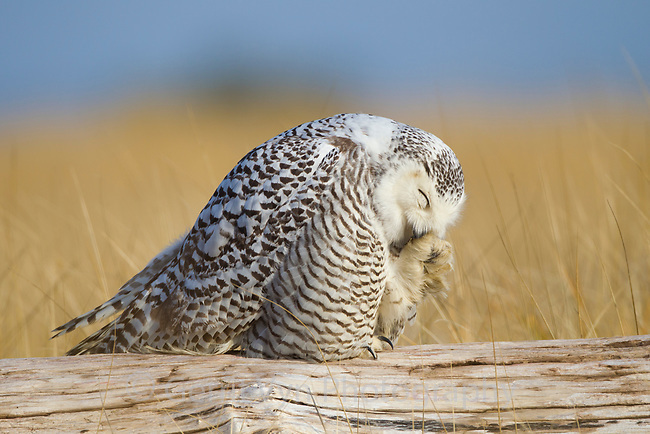 Snowy Owl (Bubo scandiacus) maintaing its facial feathers by scratching with its claws and rubbing. Grays Harbor County, Washington. December.